Product prices and availability are accurate as of 2019-04-17 00:34:28 EDT and are subject to change. Any price and availability information displayed on http://www.amazon.com/ at the time of purchase will apply to the purchase of this product. 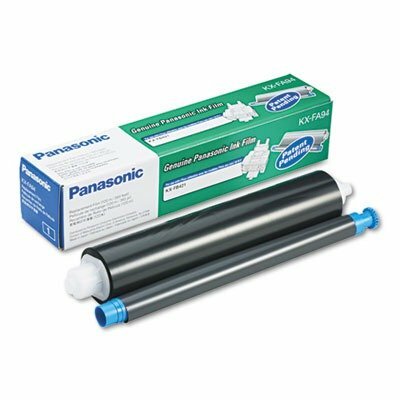 Brand compatibility: Panasonic toner and supplies. Film cartridge for Panasonic plain paper fax machines. Device Types: Fax Colors: Black Page-Yield: 400 Supply Type: Film Cartridge.